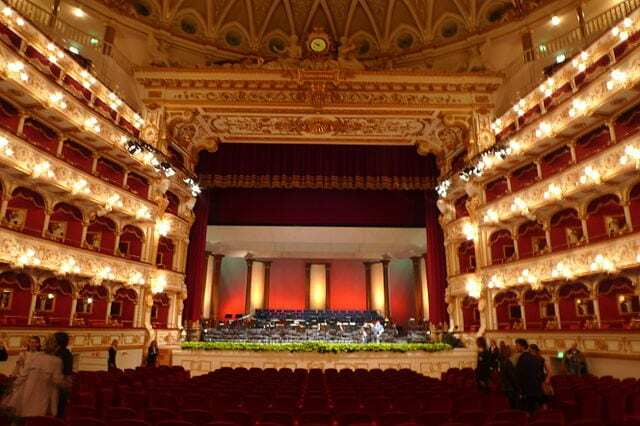 From Pavarotti to Verdi and Puccini, opera is one of Italy’s most celebrated arts…and some of the country’s gorgeous opera houses can event be considered masterpieces themselves! Check out the pictures of our top 7 Italy opera theaters that will surely have you dreaming of dressing up and heading to a performance. Milan’s opera house is one of the most famous theaters in the world, known for it’s neoclassical exterior, lush interior and thousands of acclaimed performances. Opened in 1778, the theater survived a devastating bombing during World War II and has undergone a complete renovation. The season opens on December 7th (the celebration day of Milan’s patron saint Sant’Ambrogio) and tickets for performances are usually sold out months ahead of time. We recommend checking out the museum during the day anyway, for a peak at the beautiful theater. 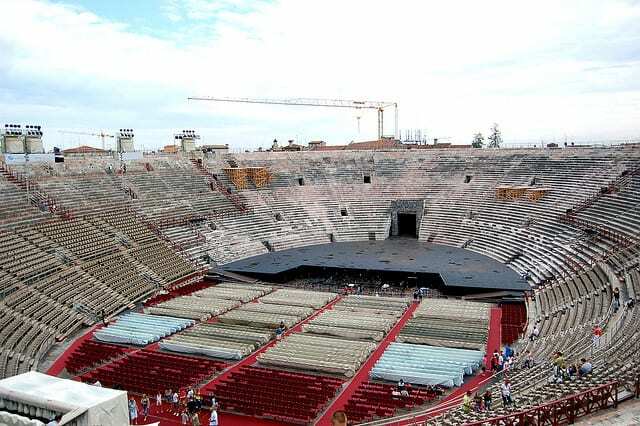 Feel the history of the 2,000 year-old Roman arena as you experience an unforgettable outdoor opera performance when the Arena di Verona comes alive in the summer. Considered the be the largest stage in Europe, the arena is not technically an opera house, but it is a fabulous place to enjoy international opera performances. Literally translated as “The Phoenix”, the opera house is known for its resilience after surviving 2 fires. In 1996, Woody Allen and many other influential celebrities and politicians came together in order to restore the theater that was home to musicians including Beethoven and Wagner and preserve its rich culture after its second devastating fire. 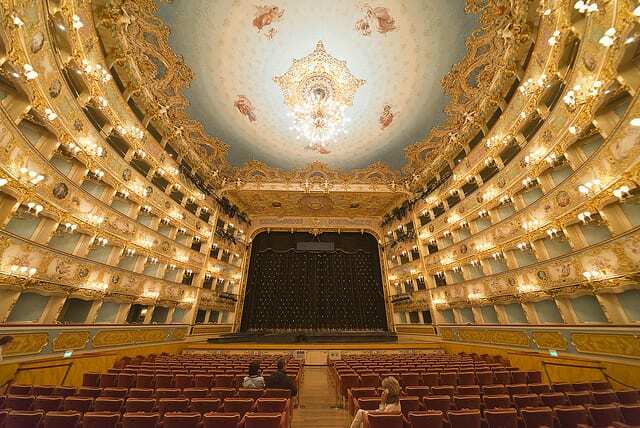 More gorgeous than ever before, La Fenice attracts music lovers from all over the world for its acclaimed New Year’s Eve concert. Carlo Felice’s modern and neoclassical architecture makes it stand out from other Italian opera houses and it’s acoustics are some of the best in the world. The theater was designed to reflect its home city, giving visitors the feeling of watching the performance from a large piazza and its narrow balconies similar to the Genoa’s winding streets. 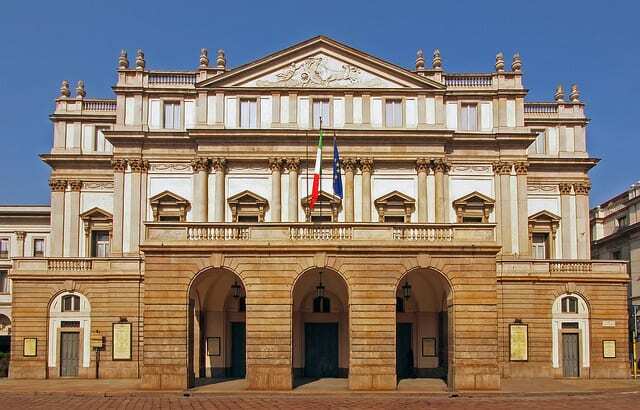 Inaugurated in 1737, the majestic theater is the oldest surviving opera house in Italy and is known for its huge size. 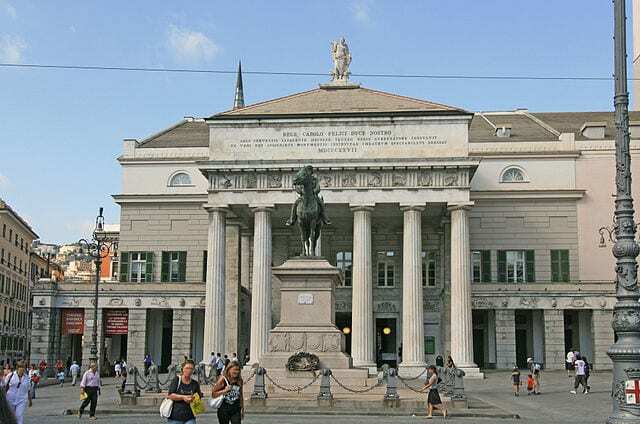 It’s location adjacent to Naples’ Palazzo Reale is not coincidental – the San Carlo theater was designed to be connected to the palace so that the royal family would have direct access to the performances. 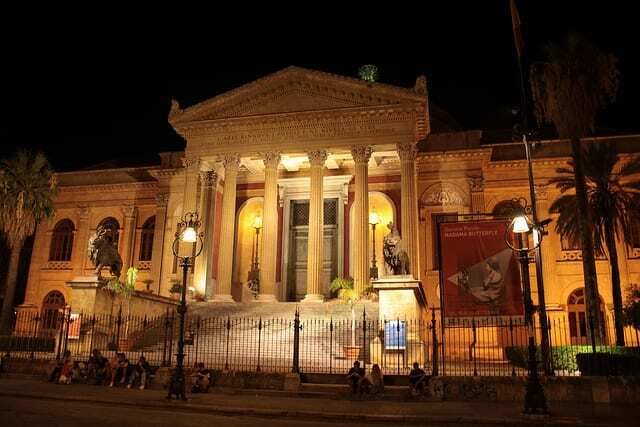 Even if you’ve never been to Palermo, you may have already recognized this belle époque theater built for King Vittorio Emanuele from its appearance in the Godfather III. The enormous opera house is one of the largest in Europe and is known for its excellent acoustics. A common theme between these theaters is that they have been destroyed and rebuilt, but what makes this stunning theater special is that it is one of the few privately owned opera houses in Italy. The Petruzzeli Family takes great pride in supporting the arts and internationally acclaimed artists including Frank Sinatra and Ray Charles have graced the stage. 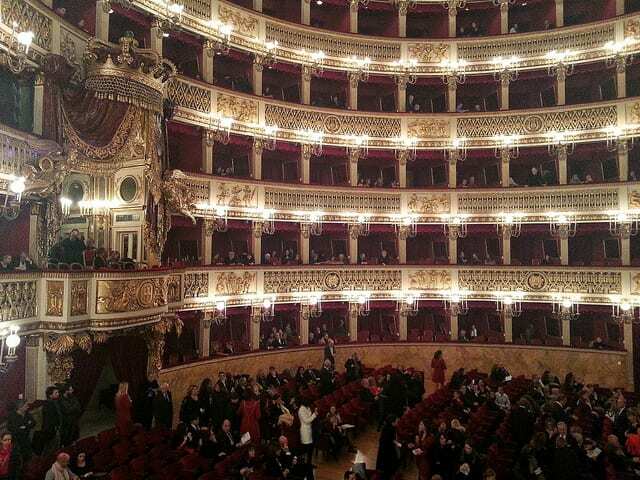 Have you ever seen an opera in Italy? Tell us about it in the comments!